Happy Hour: Shall We Spritz? After our wedding, my husband and I spent nine incredible days honeymooning in Europe. We spent the first four nights in Rome and the second four nights in Santorini. Rome was far more relaxed, walkable, and enchanting than I had imagined, while Santorini was more rugged and ripe for adventure than I had pictured. A perfect ying and yang of a vacation, and exactly what we needed. Rome was our perfect first stop since we were exhausted coming off of our wedding weekend. We settled into our adorable hotel in Piazza de Fiori and set off on extensive walking tours all day before recharging at the hotel in the late afternoon. Sometimes we napped. Often we snacked and sipped wine on the rooftop garden. But, always we spritzed. We cleaned up for dinner and snagged ourselves a table on the piazza for an apertivo of aperol spritz. By night number two we were even picking up a small bowl of free snacks and claiming ourselves as unidentified Mediterraneans thanks to our new tan and the local trinket salesman chatting us up in Italian. Throughout the trip my husband would turn to me and say, “How are we going to keep this vacation feeling at home?” Our first step in retaining a post honeymoon glow upon our return was to spritz on our rooftop patio. 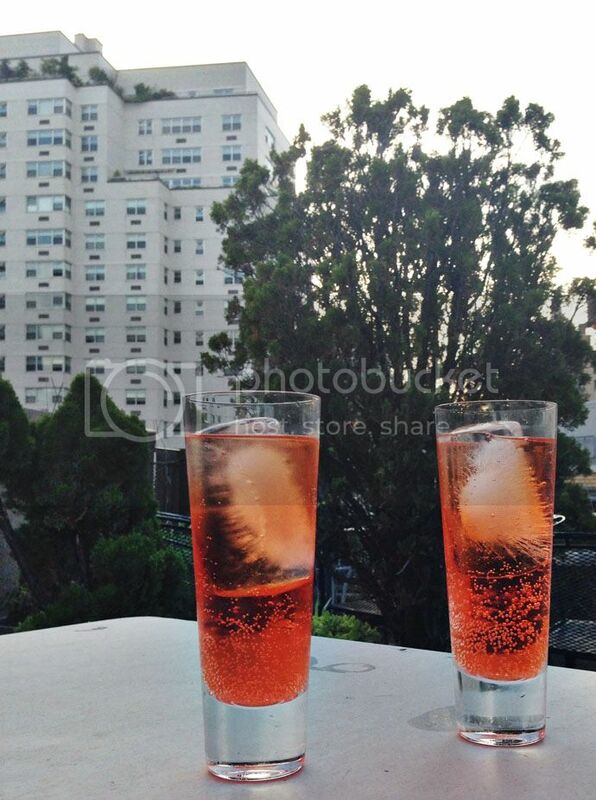 Around 6pm, after wrapping class, errands, and whatever else the day entailed we would head to the rooftop with our iPod and spritz ingredients. Charlie would join us to hang around the table for snacks and lick the dirt off the ground (so bizarre). One evening my brother was hanging at the apartment, and as the clock clicked over I turned to my guy, “Shall we spritz?” My brother looked slightly confused and a little uncomfortable, “Umm I can leave…” After a quick clarification, we spritzed as three, and later that night my brother secured his first New York apartment complete with seven roommates and endless Chinese food. 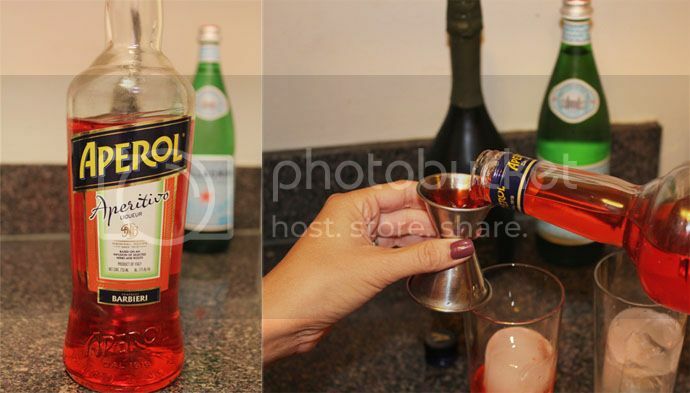 So when the question is shall we spritz, the answer is always always yes. This is our take on the Italian classic, tweaked for our taste. Stir in a tall Collins or highball glass. Top with additional Prosecco (why not?) and an orange slice. This entry was posted in Food, Life etc and tagged Aperol Spritz, Cocktails, Honeymoon, Italy, Travel. Bookmark the permalink. Looks yummy! Your honeymoon sounds awesome. What a fun way to continue the honeymoon at home. And Rome! I’m going to be going next month for the first time, can’t wait! Sounds like an amazing honeymoon!